Apple A10 Fusion Are Bigger Than the Competition – Apple Designing Bigger Cores for Better Performance? The Apple A10 Fusion chipset easily outperforms the Android flagship crew, as we’ve seen from the latest speed tests compared against Google’s Pixel and Galaxy Note 7. Now thanks to the latest Chipworks teardown, we now know that Apple designs big cores, and the word ‘big’ is definitely an understatement. 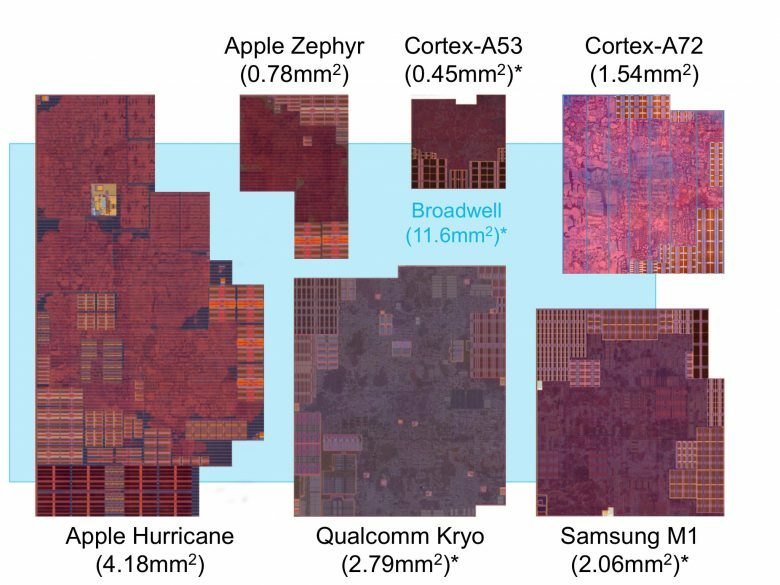 The Chipworks teardown was commenced by the Linley Group, and you can tell in the image given below that Apple designs big cores, even those that have been designed to tackle low-end tasks (that is if you compare them side by side against ARM’s Cortex-A53). The high-power cores are called ‘Hurricane’ and are larger than Samsung’s M1 and Cortex-A72 cores. The only exception being presented here is Qualcomm’s Kryo, which is present in both Snapdragon 820 and Snapdragon 821. As for the power-efficient cores codenamed ‘Zephyr’, they might be smaller than all the cores responsible for taking care of the heavy loads, they are still bigger than Cortex-A53, which are designed to take of the same low-level tasks as Zephyr. One reason why Apple is adamant is designing larger cores is because having more transistors per core helps when performance and efficiency per-watt metric is calculated. While this might not be a good approach when conserving space, clock efficiency greatly increases thanks to these decisions. 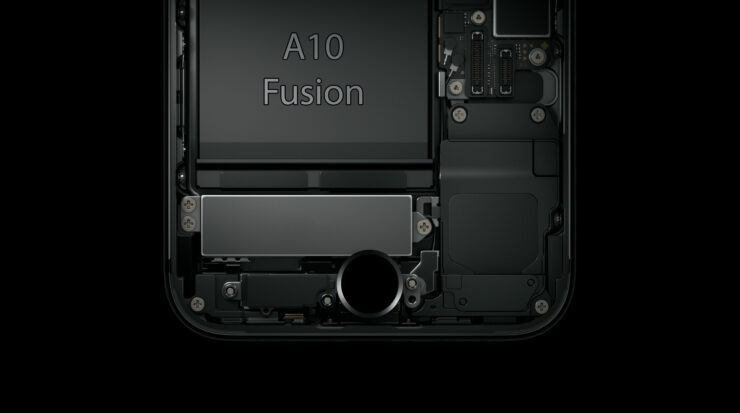 Linley Gwennap, an analyst at Linley Group believes that Apple’s A10 Fusion performance is so good, it will give a heck of a competition to Intel. Not only ago, a detailed performance comparison of Apple’s A9X and Intel’s Core M CPUs showed that the chipset, though lagging behind the Skylake Core M processor present in a Surface Pro 4, would do well as far as Apple continues to design larger cores for future chipsets. I also went onto saying that the company’s 12-inch MacBook should stop using Intel’s processors and go straight for the tech giant’s custom-designed cores. If Apple is actually able to design cores the size of Intel’s notebook and 2-in-1 processors, it is definitely possible that the California-based tech firm stops relying on Intel. Unfortunately, based on ARM’s architecture, there are a ton of obstacles Apple is going to run into when making apps specifically catered for macOS. What did you think of the latest comparison? Tell us your thoughts right away.